360 Active Listings, of those listings 82 are either REO or Short Sale listings comprising 23% of the total. As usual, these calculations are made on sales activity of single family homes in the City – County areas of the South Tahoe Area Realtors MLS data. Pending listings are made up of 58% of either REO or Short Sales. 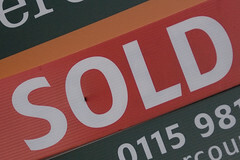 An interesting number is the increase in short sale closed escrows. Short sale lenders have improved the process and, if not easier, at least it is possible to close more short sales.